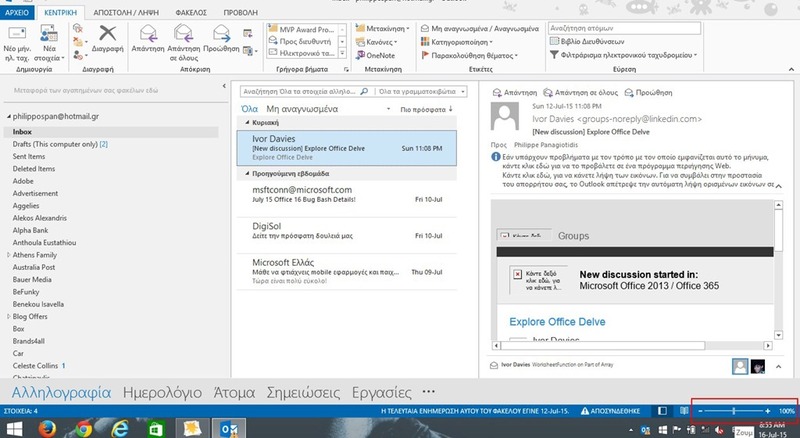 In Outlook 13, we have a new feature available, which we could also find in Word. That is the Zoom Slider. We can use the Zoom Slider to make quickly and easily adjustments to the Zoom Level for the Message that we are viewing. Say that text of an E-mail is to small to read easily, or to large that doesn’t fit in the Preview Pane, that is where the Zoom Slider comes in. All we have to do to use the Zoom Slider is to follow the steps described below. 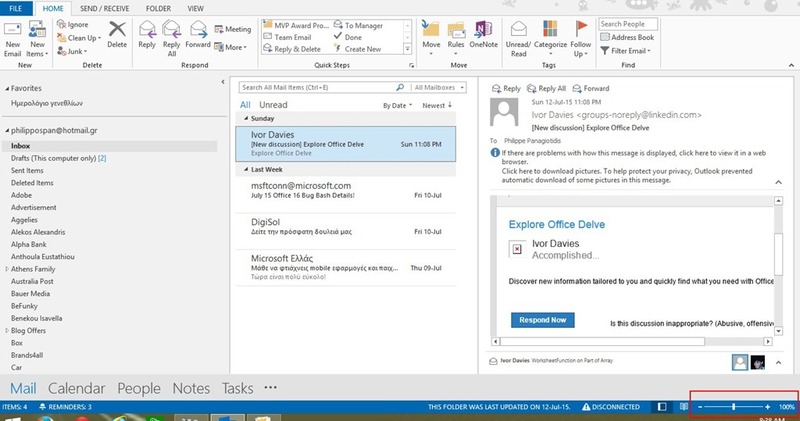 At the bottom right corner of Outlook 13 and in the Preview Pane, we notice the Zoom Slider as shown in the image below. Once the Zoom Slider is located we notice the decrease (minus symbol) and increase (plus symbol) areas of the Zoom Slider. In the image below the Zoom is 100%.